It was our (Justin and I’s) first time at Pagliacci. Hubby took us there last month because he said they serve good food. 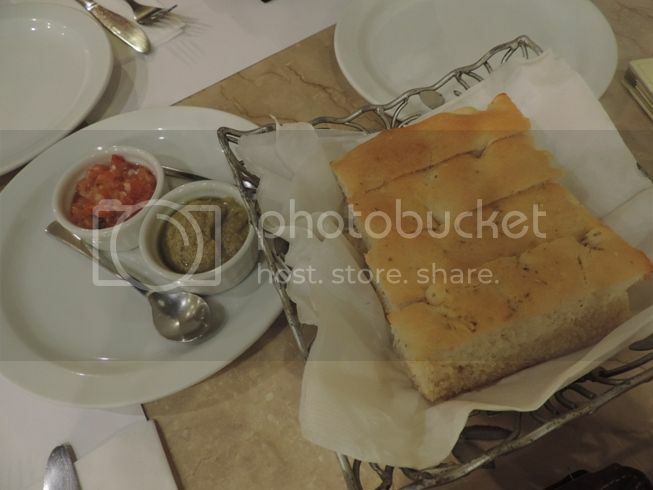 While waiting for our food, we were given soft Focaccia Bread with salsa and roasted eggplant dips. Hubby and I liked both, but we fell in love with the roasted eggplant dip. It was delicious! Ai 4 Formaggi is Pagliacci’s Four-Cheese Pizza. It has mozzarella, gorgonzola, scamorza and parmigiano cheeses. Of course, we enjoyed this because we are all certified cheese lovers! This Tavolara is a must-try! It’s spaghetti with crab fat sauce, shrimps, olive oil and roasted bell peppers. I know crab fat and shrimps are high in bad cholesterol, but just a little of this irresistible pasta dish won’t hurt, right? We ordered Bolognese for our son because he thought he would not like the Spaghetti Tavolara, but we were wrong. He ate some of the Spaghetti Tavolara and a little of the Spaghetti Bolognese and more than 1 slice of the Ai 4 Formaggi pizza. 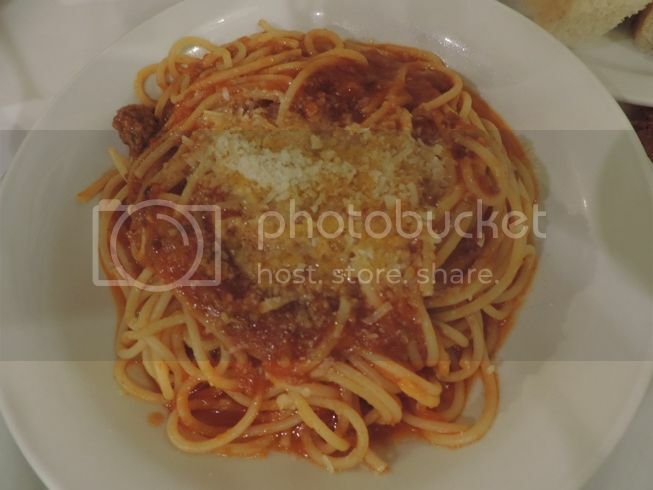 Spaghetti Bolognese is spaghetti in tomato sauce with mixed meat and olive oil. It was another satisfying dinner for us. Thanks, hubby, for this delightful treat! 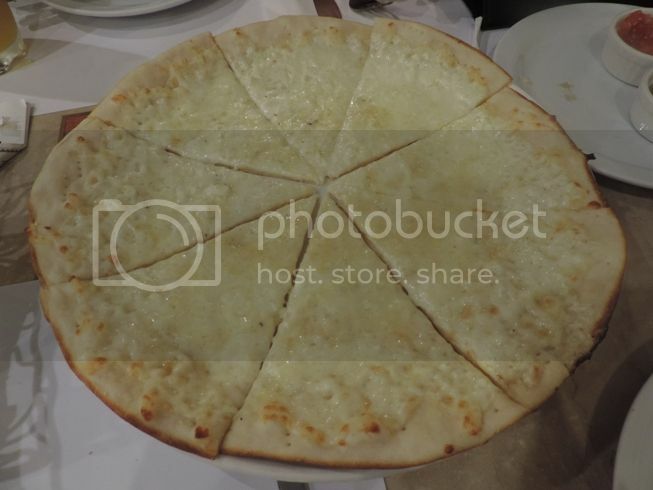 This entry was posted in Food Friday, Food Trip Friday, Italian Cuisine, Pagliacci, The Podium. Bookmark the permalink. crab fat on spaghetti! waah I want this! Complimentary bread and dips pa lang, nakakabusog na. I want to try the pasta with crab fat, interesting. Everything looks good! my niece tried cooking spaghetti with crab fat once … it was delicious! The pasta looks delicious, am sure my husband would love it! I love pasta! I like the fact that it comes with complimentary appetizer…yum! My mother in law would love the 4 cheese pizza! I want to try the crab fat pasta LOL. It’s unique and different and they do not serve that here in the US for sure. 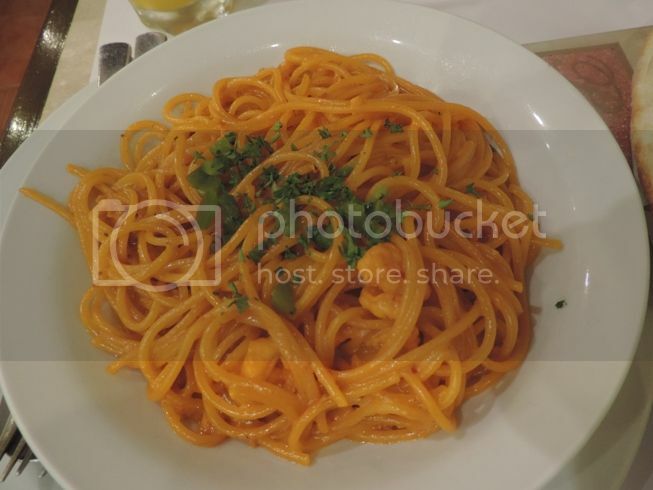 this reminds me of my fave pasta..but not in pagliacci..local pastries lang dito sa lugar namin. i also want to try cooking pasta and maybe one of these day makaluto din ako nito. Wow, the pasta looks delish! And oh, how I love focaccia bread!